I was so thrilled when it was announced they were adding to the Clubman Pinaud product line last year. 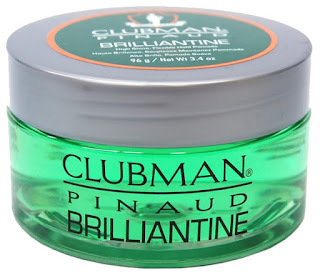 Amongst the additional shaving products was the pomade called Clubman Pinaud Brilliantine so I quickly placed an order. Unfortunately, it started to go downhill from here. I waited over 4 months to receive my order even after contacting them on twitter they just didn’t seem have their act together. Regardless of this I was still happy to see the products arrive and was eager to try them. I went right for the pomade open the top and my smile slowly turned to a frown. I said to myself what the f@$% is this? With all the scents in the product line they couldn’t make a pomade that was close to one of the aftershaves? 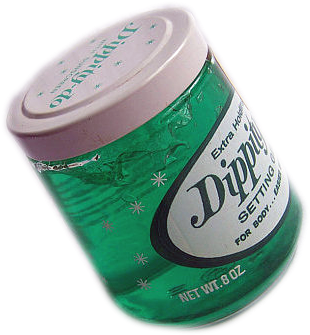 Instead I got this non identifiable scent which I hated and the pomade looked liked something my mom used in the late 60’s called dippity do. I placed the tub in the dark side of my shelf for over three months until I just couldn’t stand looking at it any more so I put it to the test and here are the results. Brilliantine comes in a clear 3.4 oz. plastic tub with a gray flimsy lid and a paper label on top that within the short period of time has pealed and crinkled beyond the ability to read it. In fact, all the products and the labels from that order have done the same thing. 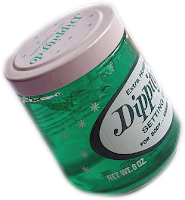 Another thing that I found annoying was the sound the jar makes when you place it down or tap on the bottom of it. It makes this hollow sound that is disturbing. I know I’m nitpicking here but this is how I feel. This light green water based gel is thick but also easy to scoop out. As I worked the pomade into my hands and applied it to my hair the scent began to change. It reminded me of a men’s cologne very light but way different from when I first sampled it from the tub somehow this pomade just smells better when it’s in your hair. I’m not all surprised of the products hold and shine and its ability to style which is nothing short of amazing. I have gray hair which is somewhat resistant and hard to get the right product to control it but this did a wonderful job. All you need is a small amount to get the jobs done. Touchups are no problem just a little water on your comb will reactivate the pomade so you can restyle with ease. ** Just a note here if your looking for a natural hair product you’re not going to find it with Clubman Pinaud Brilliantine. Reading the ingredients listing is like reciting the periodic tables. I know I had a ruff start with this pomade but you can be sure I’ll be using it from time to time and for $6.95 it’s an amazing performer but I was hoping for more of an artisan like product experience and the obstacles along the way didn’t help any. I just set my expectations too high. That being said this was not the only item from that purchase which let me down. Don’t get me started on the Pinaud Clubman classic barber shave cream.